This report represents the prevalence of endoparasitic infections of birds in zoological gardens in Serbia. Coprological examination conducted during 2015 and 2016, involved samples from 318 individual birds belonging to 112 species, in three zoo gardens (Belgrade, Palić and Bor). Individual faeces samples were analysed by the flotation method in salt solution. The presence of endoparasites was established in 51.96% (Belgrade), 46.16% (Palić) and 16.66% (Bor) of the tested birds. We diagnosed coccidian oocysts, eggs of Capillaria spp, Heterakis spp, Trichostrongylus spp, Ascaridia spp, Syngamus trachea and eggs of yet unidentified trematode. There were no detection of parasites from the class of cestodes. 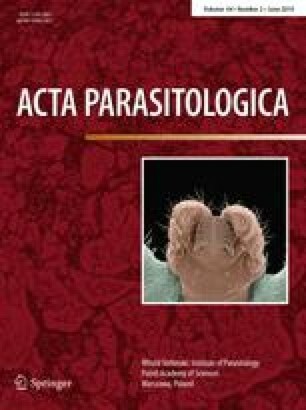 Prevalence of infection with coccidia, depending on location, was in the ranges between 8.33% and 32.84%, capillariosis 2.77% and 29.41%, heterakiosis 2.56% and 12.74%, trichostrongylidosis 5.55% and 25.64%, askaridiosis 10.25% and 10.78%, syngamosis 2.94% and trematodes of unknown etiology 2.45%. Coinfections with two or three parasitic species were detected in Belgrade and Palić Zoo Gardens, while quadruple infection was established in birds of Belgrade Zoo Garden. Obtained results can be used in establishing programs for health protection of endangered bird species.